We have the first 20-pound creel of 2018 courtesy of the pair of bass below. 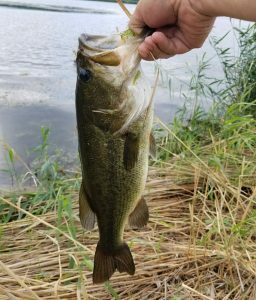 Angler Comments: Not much fishing for this week and thought I might get skunked. Went Tuesday and not even a bite. Went back today and only had about an hour of daylight left. 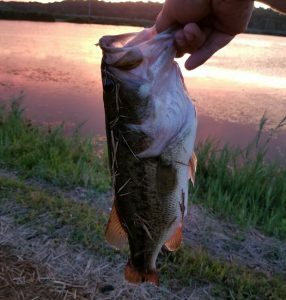 Time was running out and I landed a skinny one that was just under 2 pounds. Next couple casts produced this nice 4-0. Angler Comments: Hit just as my Senko made it to the edge of weed bed. Thought I had just hooked weeds until he started running.